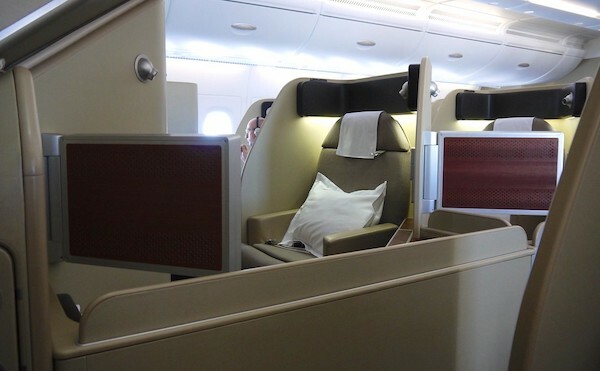 Lufthansa First Class is an aspirational redemption for many Australia-based points collectors but a difficult one to secure, as seats are first made available to Lufthansa Miles & More members, with remaining seats only released to Star Alliance partners 15 days prior to departure. Thanks to ExpertFlyer alerting me to an opening in availability, I managed to secure a window seat on this 12-hour flight from Europe to Southeast Asia. 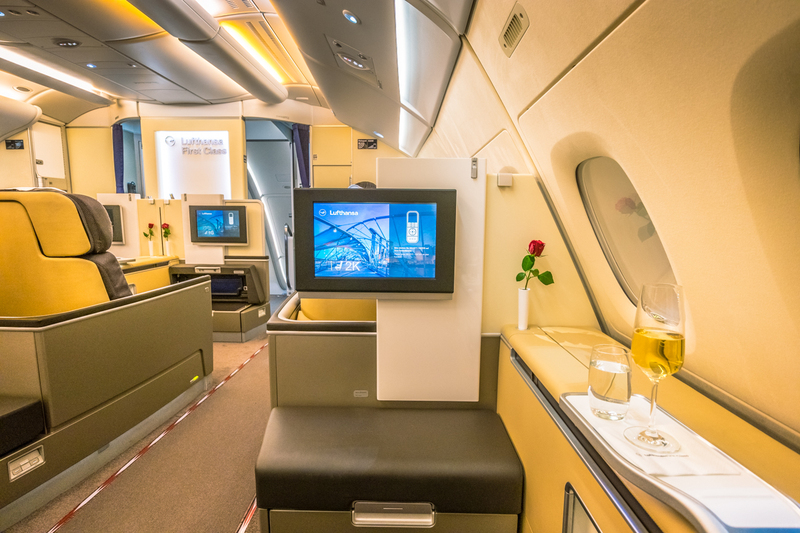 You will find First Class up the front of most Lufthansa’s long-haul fleet including the Airbus A380, A340-600, A330-300 and Boeing 747-8. 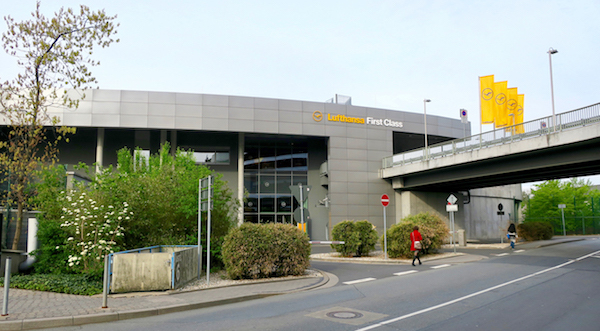 Note that Lufthansa is pursuing the expansion of its Munich hub, so we may see more First Class flights available from the Bavarian capital at the expense of its main hub in Frankfurt. 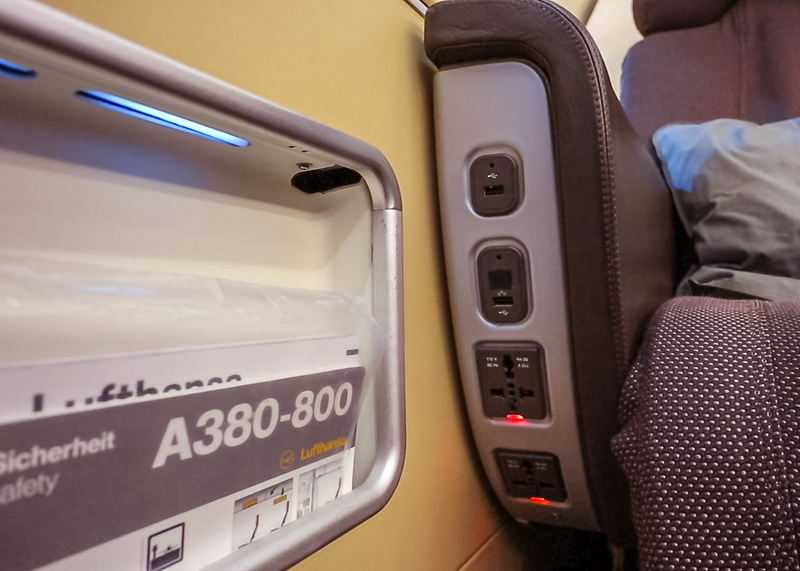 Lufthansa’s A380 aircraft feature eight First Class, 78 lie-flat Business Class and 52 Premium Economy seats on the upper deck, with 371 Economy seats across the entire lower deck. 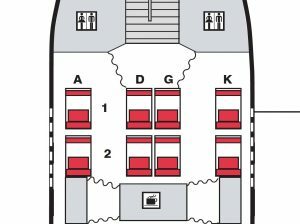 The First Class cabin is configured in a 1-2-1 layout with open suites. 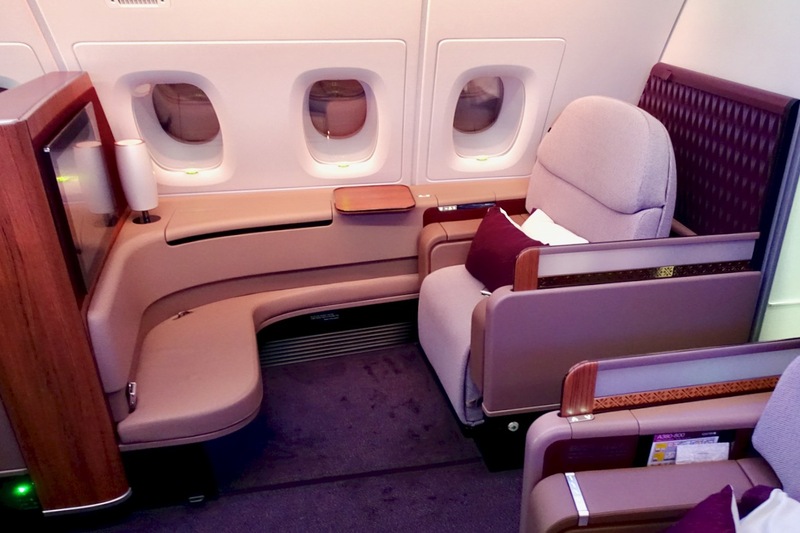 The cabin is meticulously styled, understated and very elegant. 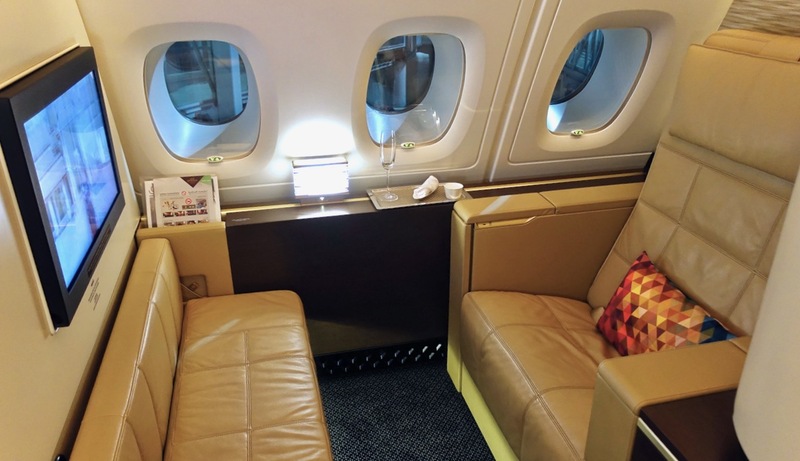 There are no overhead bins, not even on the window sides, so the cabin feels very spacious, however, you also feel quite exposed in your seat as there are no closing doors. 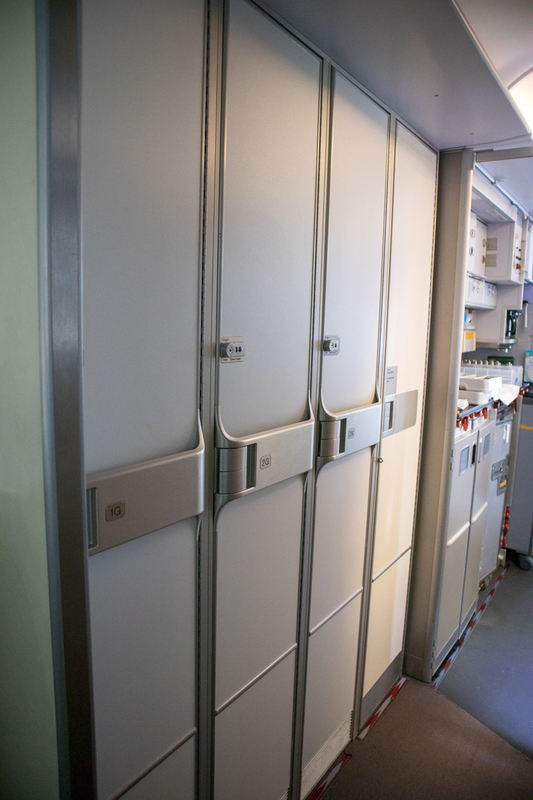 As there are no overhead bins, each guest is provided with a vertical storage locker either at the front of the cabin for seats 1A and 1K or between the galley and cabin for the rest of the passengers. 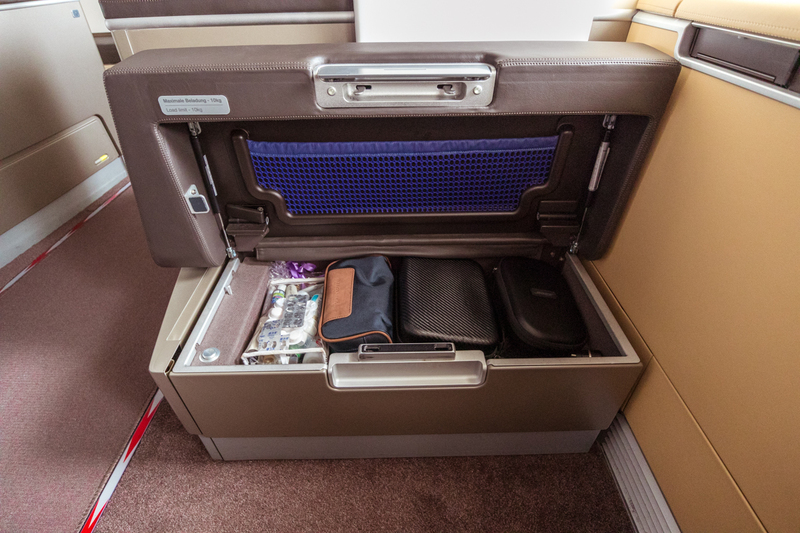 For storage closer to your seat, there is the large ottoman which is motorised and can be moved closer to you, a storage compartment alongside the window, and a water bottle holder. 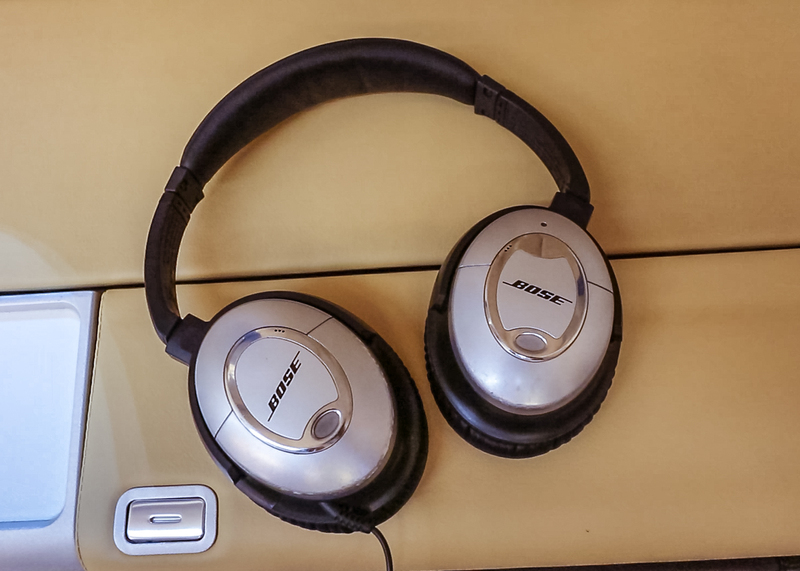 Hard-wired Bose noise-cancelling headphones are stored in another compartment alongside the window. There is an adjustable reading light, feature spot lamp on the signature rose and overhead lights which cannot be adjusted. 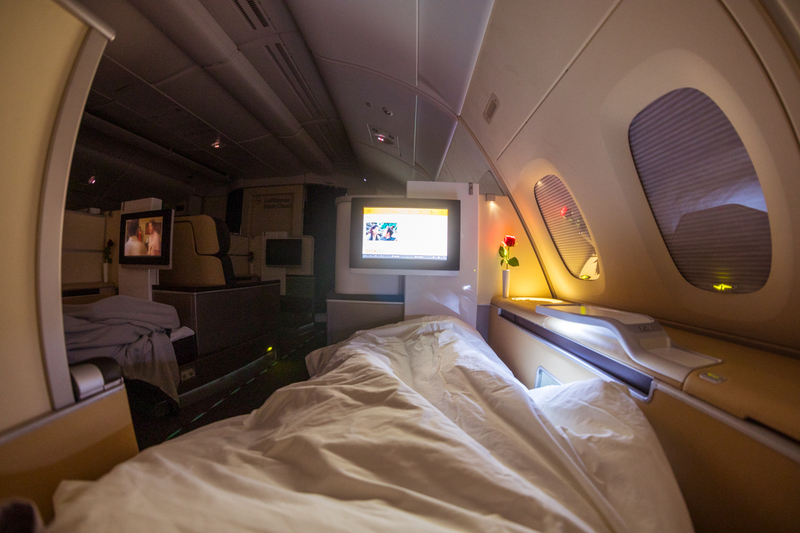 Unfortunately, my overhead lights were not positioned to illuminate my tray table properly and, instead, they blinded my neighbour across the aisle—so I apologise for the poor-quality photos once the cabin lights were dimmed. 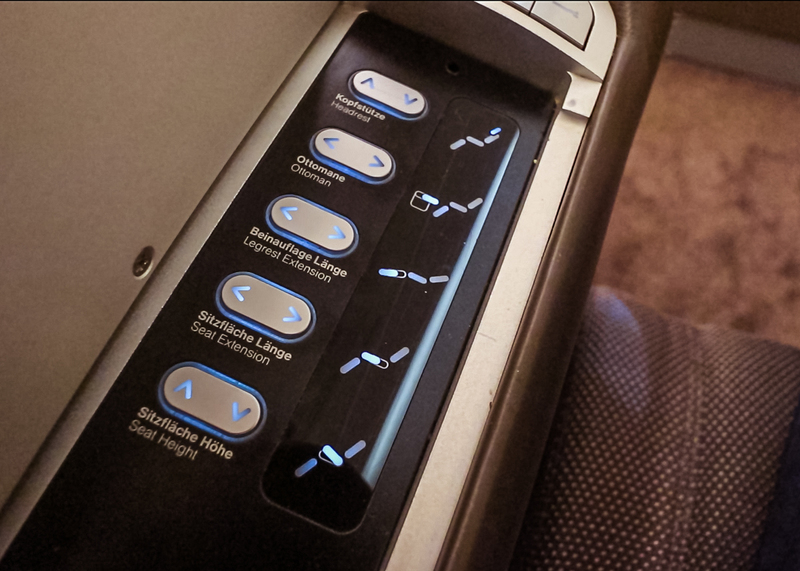 Two power sockets, two USB and one ethernet sockets are in one of the armrests. 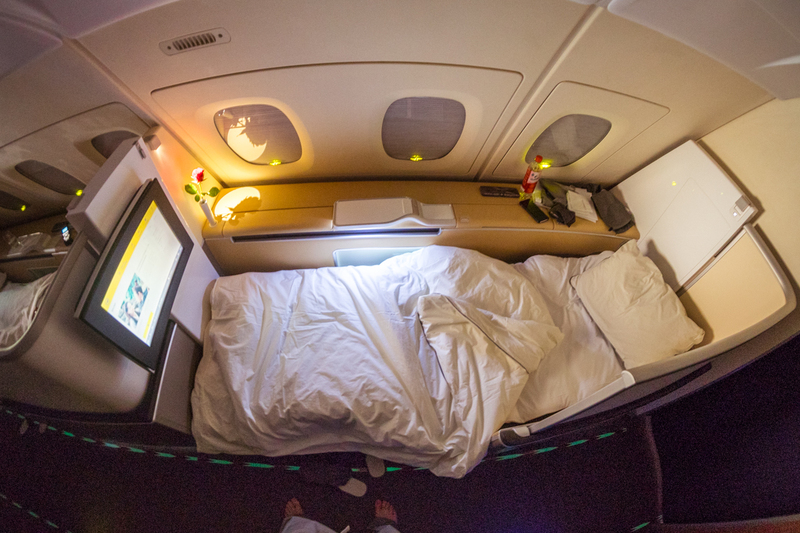 The only positive aspect of the open suite is the excellent airflow around the seat; the cabin was kept relatively cool, so I slept incredibly well. 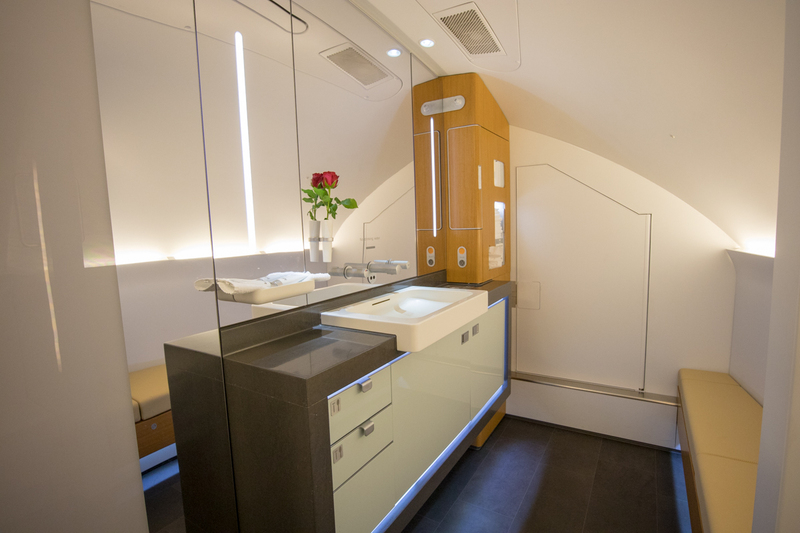 Two lavatories are located at the front of the cabin. 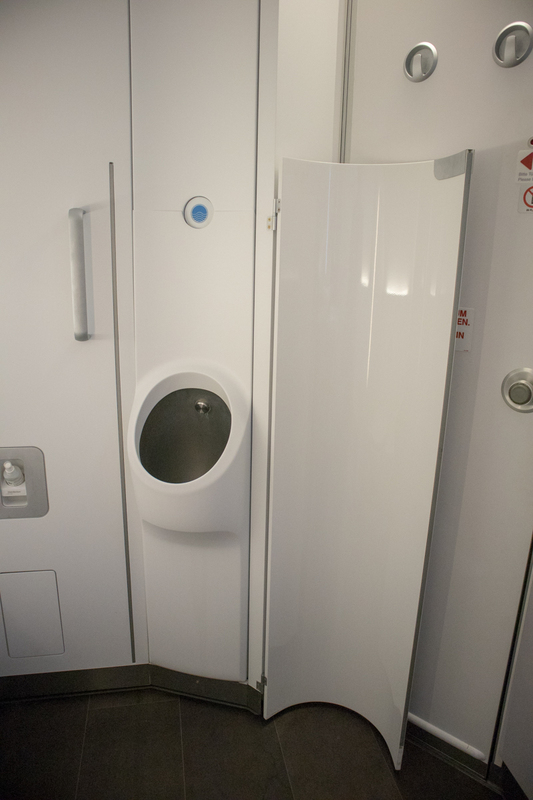 Both lavatories are large and feature a urinal for men, however, there are no showers like on Etihad or Emirates. 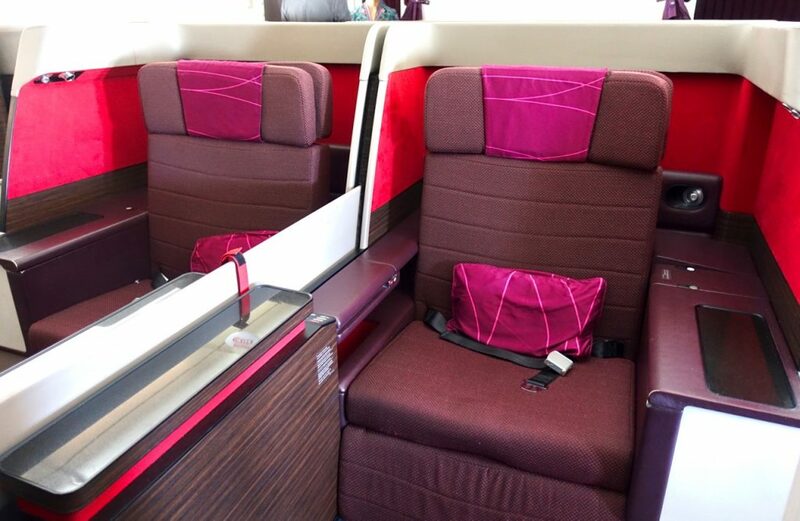 Solo travellers will want to snag an A or K window seat, and those travelling together will want the middle E & F seats. Even if you are flying solo and end up in a middle seat, there is a partition which raises to provide you with some privacy. Before take-off, 1995 vintage Charles Heidsieck Blanc des Millenaires Champagne is offered. 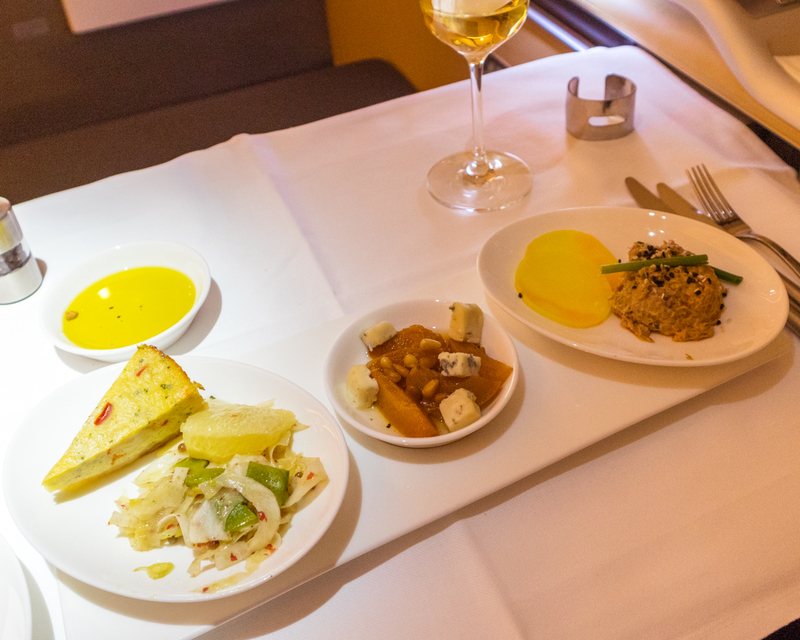 After take-off, an amuse bouche is served. 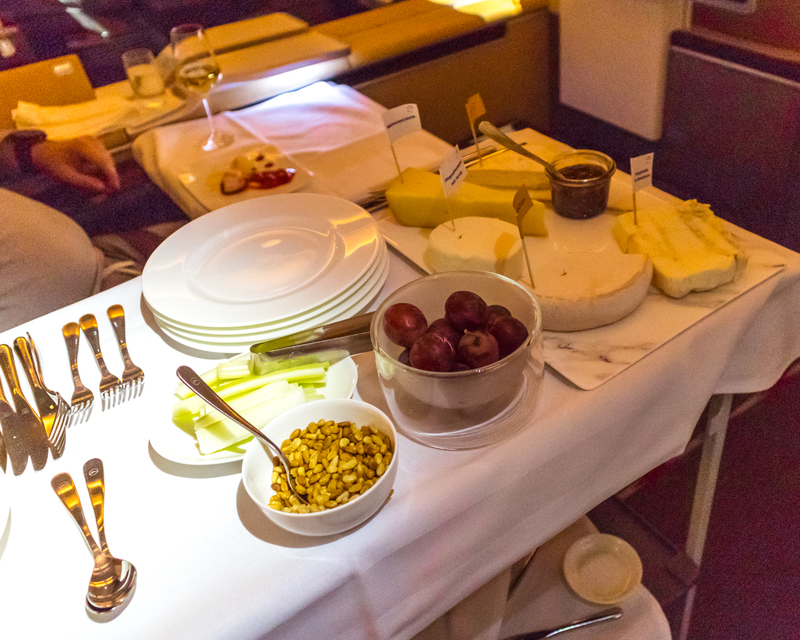 For appetizer, there is the signature caviar service, which is portioned out by a crew member. Following that was a plate of three other appetizers: duck tartar, vinegared apricots, and a tart of halibut accompanied by a salad. 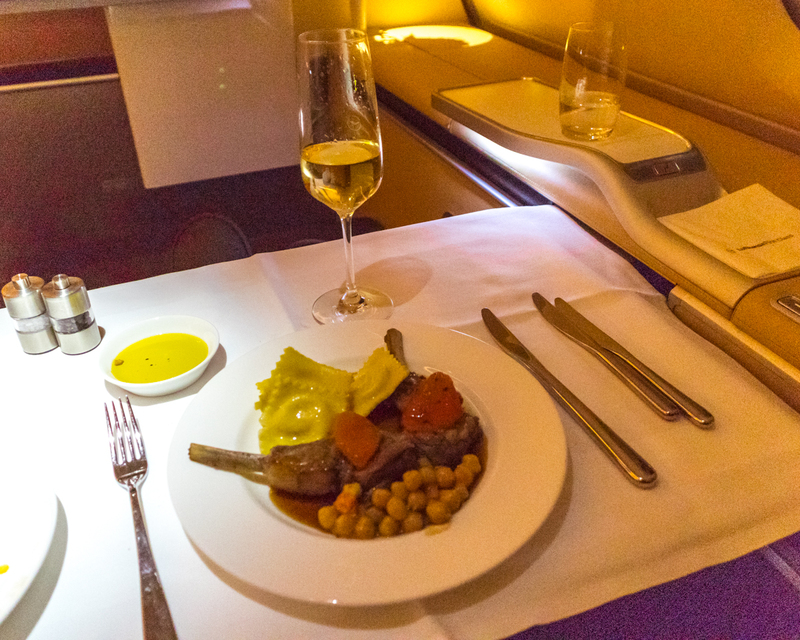 I opted for the saddle of lamb with spicy chickpeas and cream cheese ravioli for main, which was cooked perfectly. For dessert, there is a selection of cheeses and two sweet options. 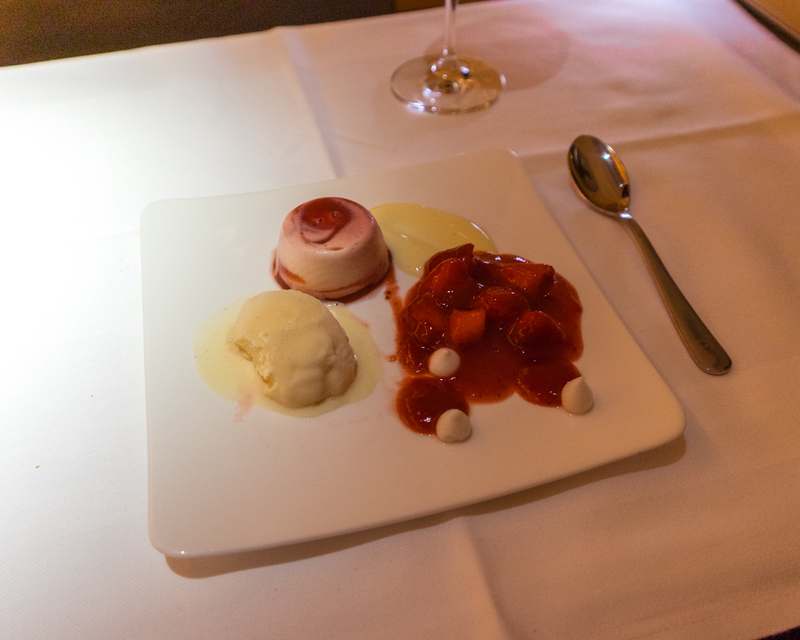 The variation of strawberries with lime Chantilly, Madagascar vanilla ice cream and yuzu marshmallows was delicious! 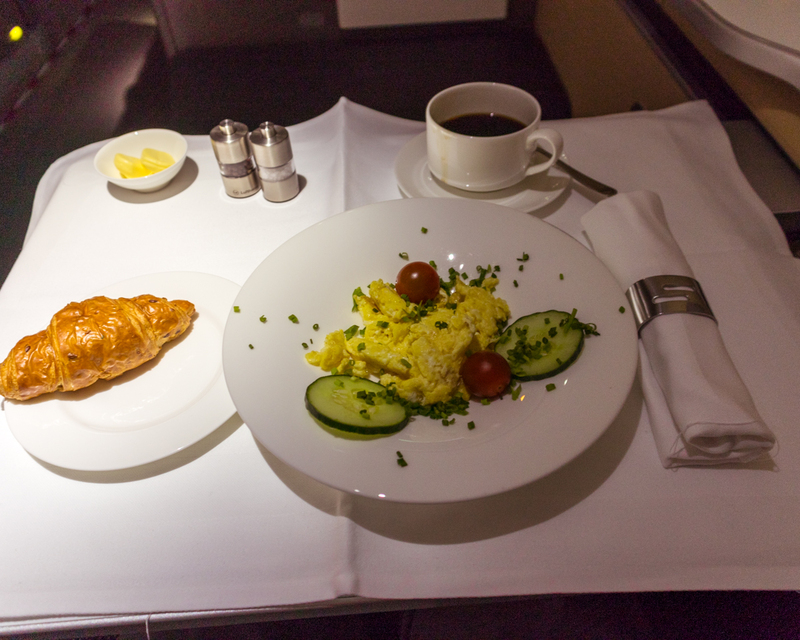 I could not go past the freshly-prepared scrambled eggs for breakfast, which were better than any other eggs I have been served on a plane before. The crew and service could not be faulted. Matthias and Opal were very professional in the service delivery and the purser, Tina, was full of energy and enthusiasm whenever she entered the cabin. A relatively small, 17-inch, fixed-angle display sits above the ottoman. The system was slow to respond to commands from the wired remote. Complimentary internet is available for First Class passengers, however, at speeds of only 0.31/0.18 Mbps download/upload, it was not usable. 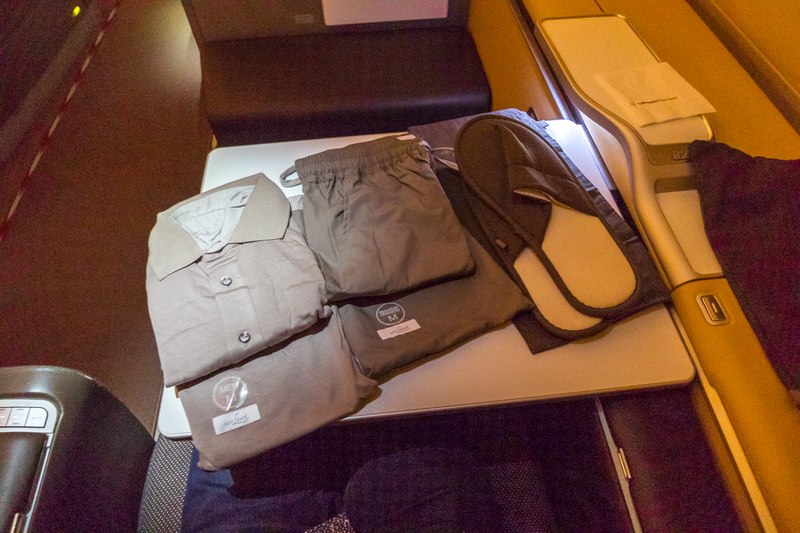 Despite announcing new First Class amenities in February 2018, this flight still had the previous items launched in 2014. PJs from van Laack in lightweight cotton are provided, along with slippers. 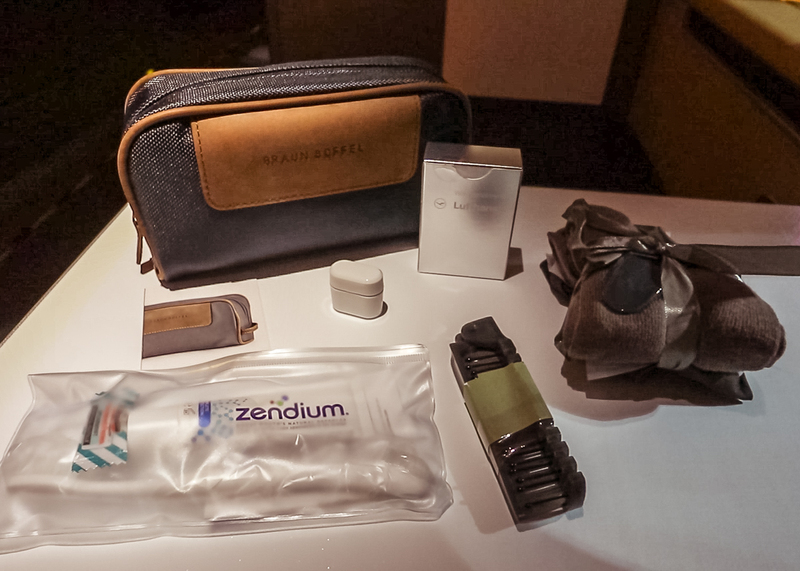 The Braun Buffel amenity kit includes socks, a shoe horn, comb, teeth-cleaning kit, ear plugs, and la prairie lip balm, ice crystal crème and hand cream. 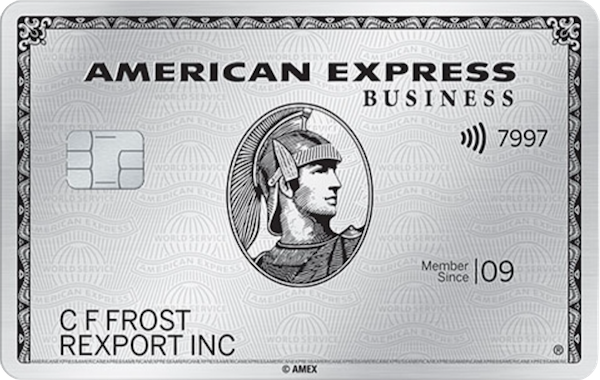 I used 129,000 KrisFlyer miles, which I transferred from my American Express Business Platinum card at a ratio of 1:1 and paid ~AU$500 in taxes for the one-way flight. 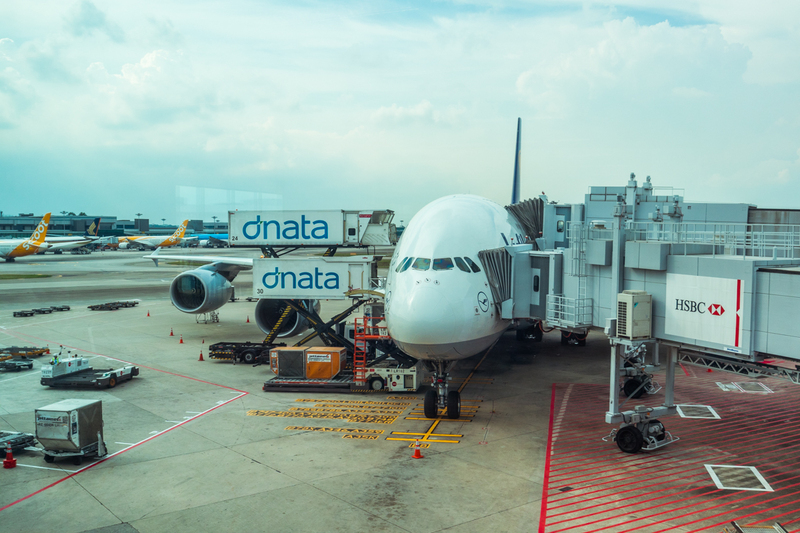 You may also use any Star Alliance partner points currency to book this flight, including United MileagePlus miles, THAI Royal Orchid Plus miles or Avianca LifeMiles. 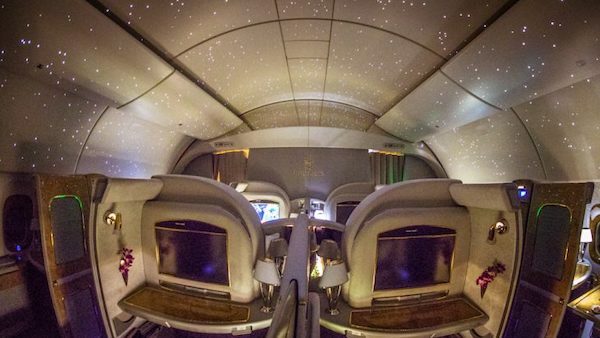 At the time of booking, this flight was priced at $12,100. 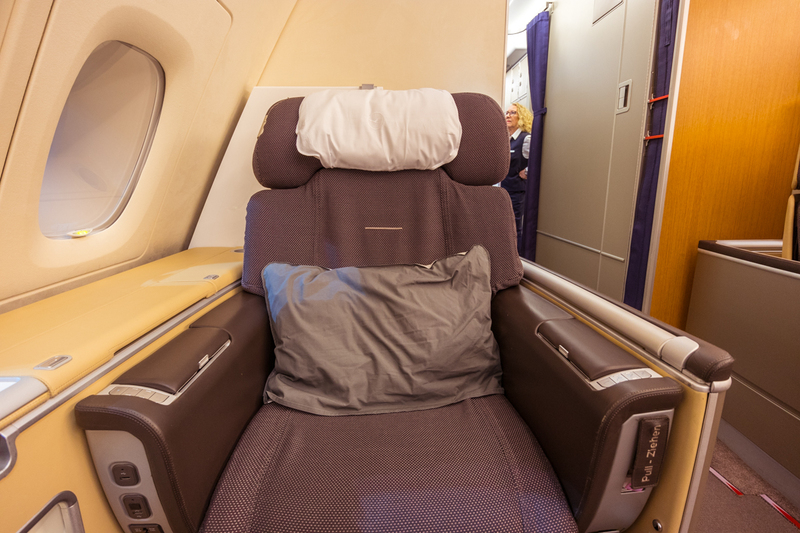 As mentioned previously, Lufthansa only releases First Class award seats to its partners 15 days before departure, so this redemption is best suited to those with last-minute flexibility. 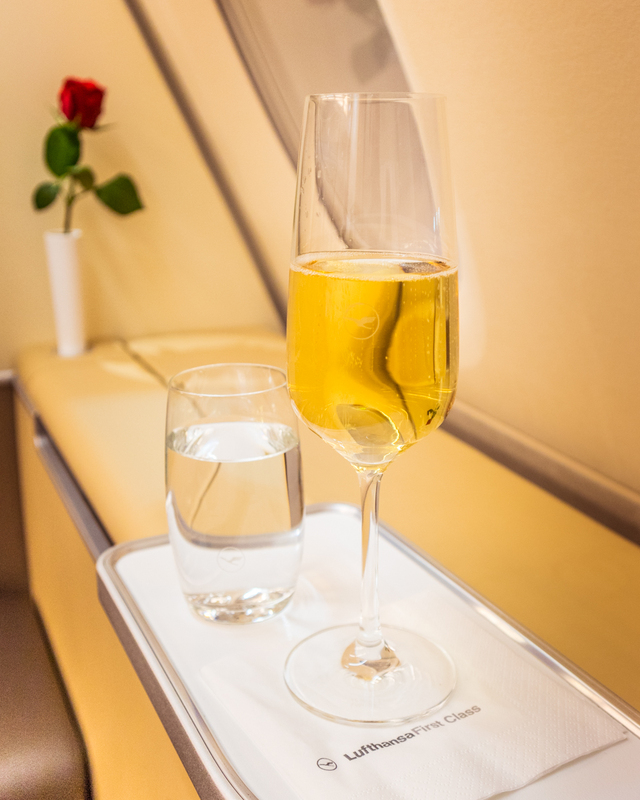 Before departing Frankfurt, First Class passengers get access to the amazing First Class Terminal. Munich does not host a standalone First Class Terminal but does have two highly-rated First Class lounges. This flight exceeded my very high expectations. 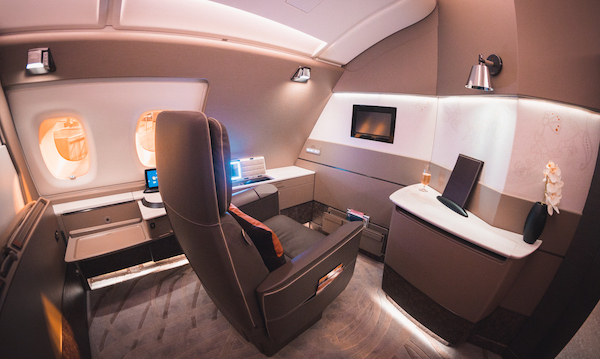 The hard-product is not competitive compared to the newer and larger private suites of other airlines, yet this was made up for by the impeccable soft product. I cannot wait to experience it again. 2 FAs for eight seats, not good service. Worse, this was a PAID ticket, not some upgrade or miles weenie. I’d scratch LH F from any must do list…..don’t. 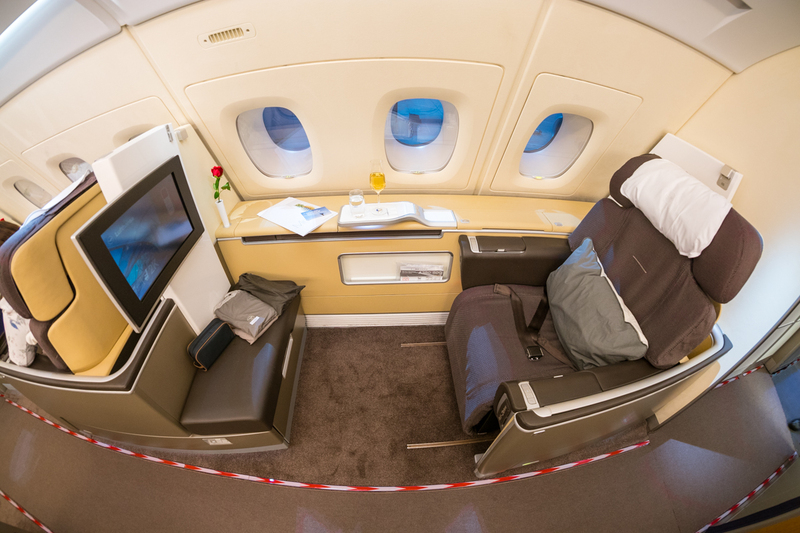 Thanks Greg, I have only flown LH First between FRA to HKG and was blown away by how comfortable and elegant the cabin is compared to EK or CX First, but also by the exceptional service both on and off the plane. 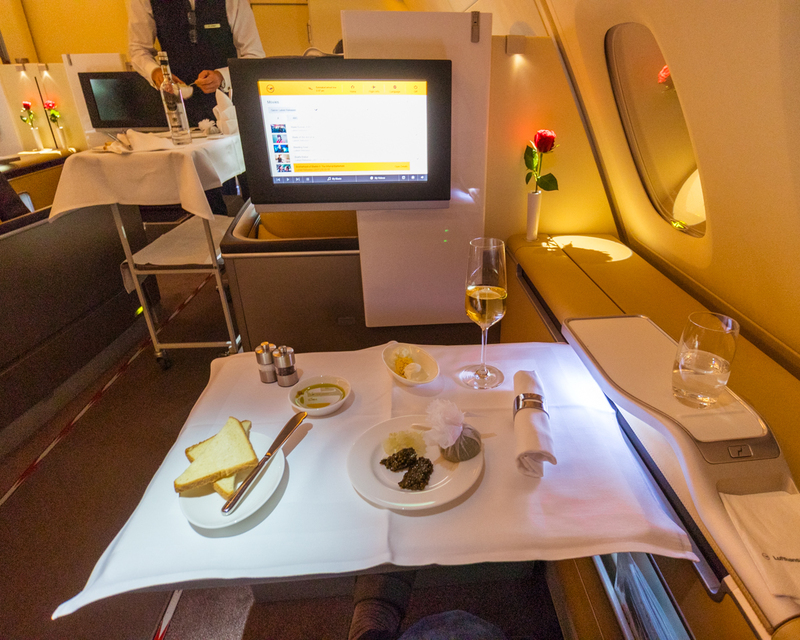 In FRA we were driven in a Porsche from our arriving Business Class flight to the Lounge which was large elegant and with exceptional staff working throughout, I haven’t experienced better in any other First Class Lounge. Then when our outbound was ready we were driven in a MB S-class to the airbridge lift which bypassed any queues and straight into the first class cabin. Just a quick question, do flights departing Munich have these same chauffeured services? The the final joy was to arrive in HKG where an LH person was waiting for us with our checked luggage and walked them over to our car service. 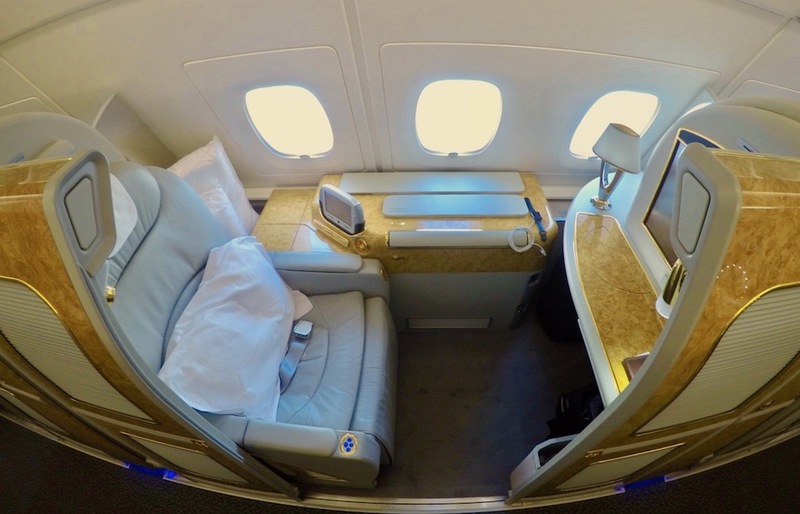 LH in my mind is the gold star for First Class service, and I could care less about a closing door around my seat when such consistent service is available.